I printed off Thanksgiving planner pages today. Yes, I’m that girl. I have a paper planner, and I love it. I tried to go digital for a few years, and it just didn’t work for me. I’m a hand to paper to memory person. I don’t learn it unless I see it, hear it, write it down, and see it again. Learning about the way I learn has been of immense value to how I function in day to day life. My paper planner brings me some sense of calm. And it also plays to my creative side because I have assigned different colored pens to different family members and I use stickers like a second grader. The more stickers, the better the page. I’m here for all the stickers. So I printed off five pages this morning to insert into my planner; pages designed to help me plan and coordinate our Thanksgiving meal. There’s a guest list, a menu page, a prep list, a recipe list, and a cooking schedule. I’m fully aware of my nerdiness when I explain the delight I had in laying these pages out in a way that felt efficient and sensical. I immediately started running the numbers. Who’s coming, how much turkey do I allot to their kids, and what sides do I include? Which tasks do I pass off? What activities do I plan for the children? And what color pen do I use to keep track of all these plans???? I had to stop and laugh at myself for a minute. Am I really getting this excited over the planning of one day? Yes. Yes, I am. But really, it’s more than just the day. I am so thankful for all of the reasons I GET to plan this day. I have a husband and children who love me. I have a family who loves me. I have friends traveling from far, far away because they love me. I have friends nearby who want to spend the day with us because of their love. I have a house with a roof and walls and two ovens to cook food for all of us. I have food to cook because my husband and I both work very hard at our jobs – jobs that pay us to do things we are good at and love to do. I have clothes to wear. I have both air conditioning and a heater, and because we live in Houston, we may use both of them on the same day. I have the freedom to gather all these people in my home and feed them delicious food because so many brave men and women fought for that freedom. I have health. I have ti me. I have energy. I recently took a turn for the better in my thought process. I came to some conclusions and saw some lies for what they were. I accepted some truths and made peace with some longings that will never be. I exhaled. 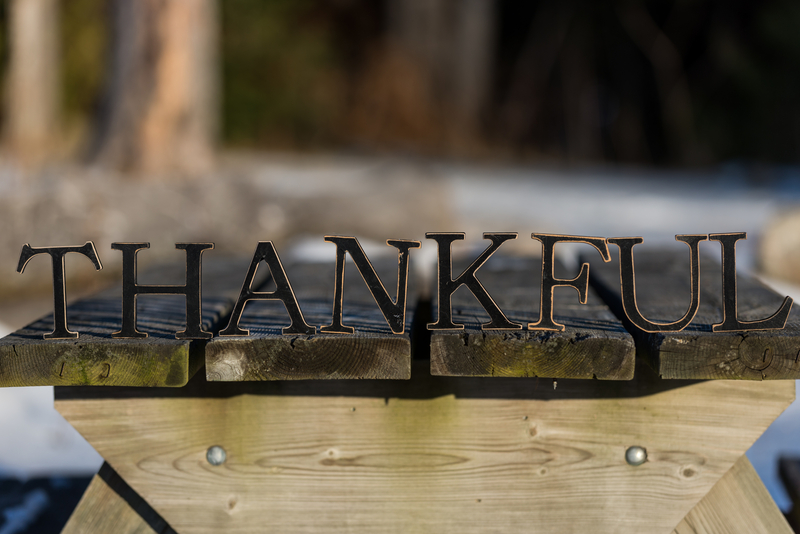 I exhaled a stale and painful breath I had been holding for so many years, and when I did, I was able to inhale gratitude. I realized that I’m going to be okay with whatever the road looks like ahead of me. I may not like it but I’ll be okay. You see, God is bigger than the lies of my past. He’s bigger than the burdens I carried for so long. He is stronger than the biggest stronghold of my life. He’s higher than the pain, and he is more vibrant than the joys. He’s everything. And I am thankful. Several years ago I got a tattoo on my back. It’s small, right in the center, and most people never see it. It’s the word “Love” and represents the millions of suicide survivors, who, like me, have had our lives turned upside down by the vicious and heartbreaking act. It’s a reminder to myself that even though my life was marked by the abandonment of suicide, I am lovable. Last year the word “enough” started playing a big role in my life. As I wrapped up a step study I found myself wrestling with the idea of enough. I had spent my entire adult life feeling too big feelings related to my self worth. I was not enough for some and I was too much for others. What if’s will plague a life if you allow them to. 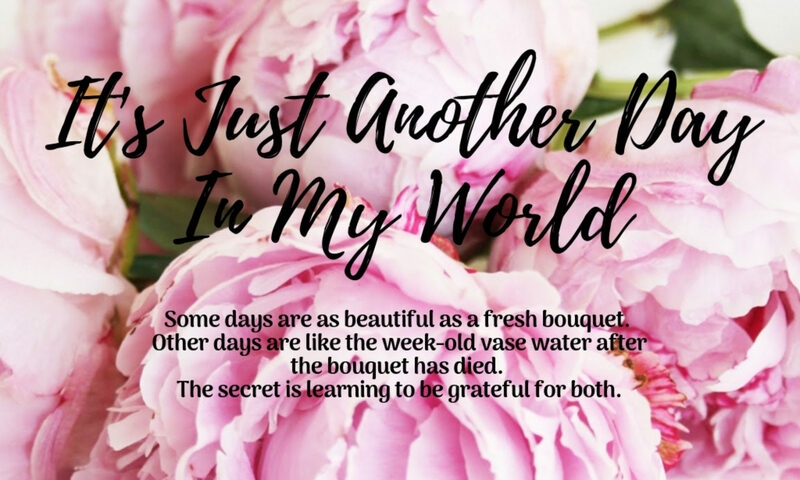 What if I had been enough to keep my parents together? What if their love for me was so great that they decided to work things out? What if I had been enough for my mom and her grief over my dad’s affair and leaving hadn’t overcome her? What if I had taken better care of myself sooner? Would I have still had so many miscarriages? What if I had loved my future babies enough? What if my personality hadn’t been too much? Would that friend still have left? You see? What if’s can make you crazy. It’s why I’m learning to lay them down and walk away. They are a poison that I drank over and over, expecting to one day have the answer reveal itself. What if’s don’t work that way. They rarely bring you a peaceful truth. So this year, as I’ve started the laborious work of laying down my self doubt I have realized that questioning how my worth relates to others is as tedious and useless. I have realized that I don’t just question my worth to others, I have been questioning my worth to God. If friends can walk away then how do I trust Jesus, who says he is my friend? If my parents could leave me, how do I trust God, who says he is my father? The only answer I have come up with is faith. I wish I had something better to offer you, should you possible be wrestling with some of these same questions. I don’t have a bullet point list. I only have faith. I have faith because when my dad left and my mom died, I didn’t die. I have faith because when I moved a thousand miles from home and lost friendships over it, I didn’t die. I have faith because when my husband and I lost 5 babies before holding our two miracles, I didn’t die. I have faith because every time life has thrown a hard situation at me or my family, I didn’t die. I felt like I would. I had grief that went deep into my bones. But every morning God filled my lungs with breath and I didn’t die. So if God could love me enough to wake me up every morning to face a new day then maybe he thinks I have worth. And maybe, I’ve spent a lot of years trying to impress the wrong people. Maybe I’ve wasted an enormous amount of energy trying to be the end all, be all to people who will never see my worth. It’s possible, that if all this is true, I’ve been viewing my own life through the wrong lens. When God looks at me, he doesn’t see a glass half full or half empty. He doesn’t use a measuring stick to see how I measure up. He doesn’t weigh me against others to decide how much love and care I receive today. When God looks at me he sees the cross. He sees Jesus dying for me. He sees me washed and clean and lovable. When God looks at me he sees enough. So yesterday I decided to give myself a physical reminder of this revelation. When I doubt myself and I’m tempted to fill up with the things of this world, the pleasures that never fill us, I’ll have this on my wrist to remind me that I am enough. 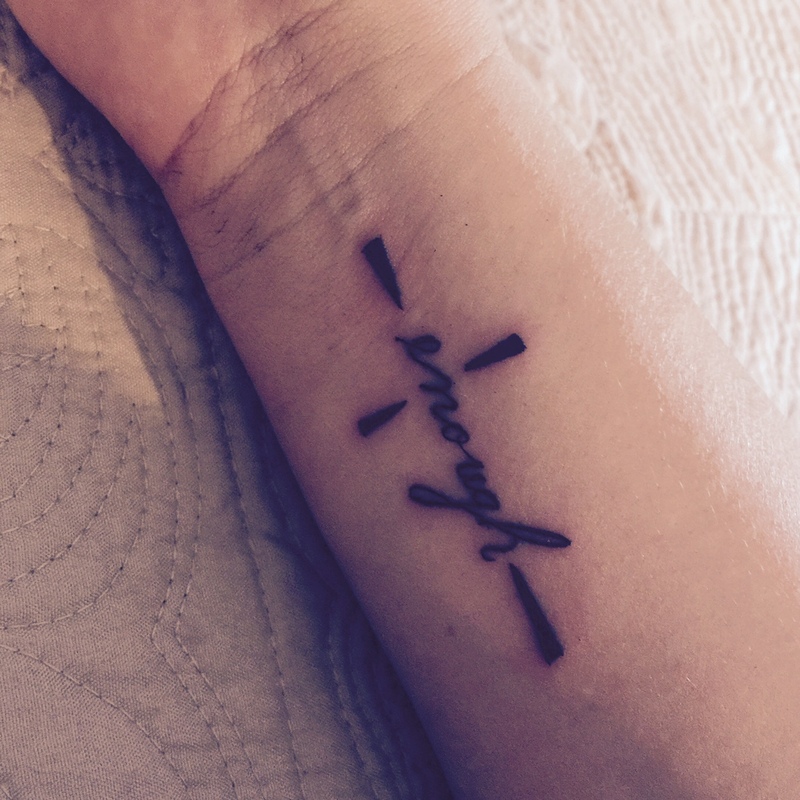 When I start thinking that any lens other than the cross are the ones I need to see myself through, I’ll have this reminder that because of Jesus I am enough. When I feel like I’m not measuring up to people or that I’m too much, I’ll look down and remember that I’m just enough.